From The Ibex Cellar Barrel-Aged Saison. If you have never had a sip of anything from Schlafly Brewings’ Ibex Series, I highly recommend you start. Schlafly Beer introduced this series of premium beers in 2017. 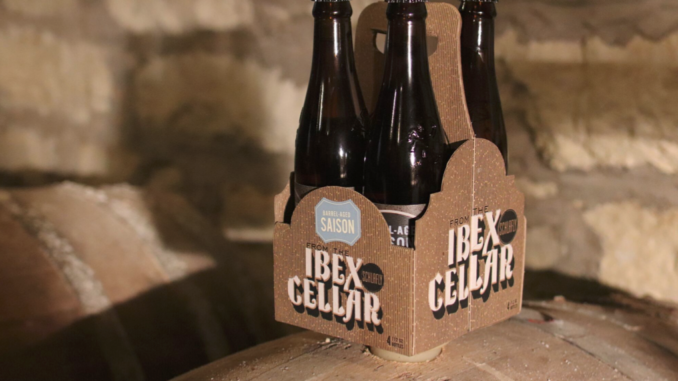 Since, then series features new, handcrafted beers from what is known as the Ibex Cellar. Nestled deep within the belly of The Schlafly Tap Room, below the footsteps of patrons and beyond the daily routine of brewing, lies a sacred room that connects the north and south structures below the earth. This solace room, quiet in space and undisturbed by light and motion, is where the most favored batches are brought to rest and evolve. It is here the beers spend extended resting times in spirit barrels of different varieties. Then, the beers will make their way upstairs to Schlafly’s Horn & Quill Room that features a craft bottling line as well as two new foeder tanks, made with Missouri white oak from Missouri company, Foeder Crafters. The next offering from the series is a Barrel-Aged Saison, aged in wine barrels from award-winning vineyards. 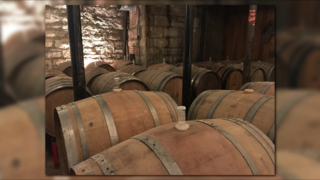 While Schlafly has aged beers for the series in everything from rum to scotch barrels, this is the first beer in wine barrels. The Barrel Aged Saison will be available for purchase starting Monday, August 13th in four-packs of 11.2 ounce bottles for $17.99. The beers will be available in limited supply across Schlafly’s distribution as well as in the Schlafly Tap Room and Bottleworks locations.